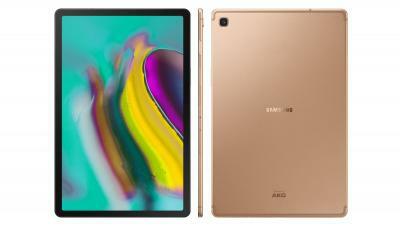 Samsung started shipping its flagship tablet the device, the Galaxy Tab S5e - Samsung's thinnest tablet yet at 5.5 mm. The S5e features a 10.5" WQXGA (2560x1600) Super AMOLED display with a 81.8% screen-to-body ratio. Samsung's Tab S5e offers mid-range performance with a snapdragon 670 octa-core chipset, 4/6 GB of RA and 64/128 GB of storage (with a microSD slot). The 7,040 mAh battery provides up to 14.5 hours. The Galaxy Tab S5e is now shipping starting at $399. Samsung first foldable smartphone/tablet device will use two OLED displays - a large 7.3" 1532x2152 foldable AMOLED that folds inside, and a smaller secondary OLED (4.5" 840x1960). Samsung brands the foldalbe display as the Samsung Infinity Flex Display. 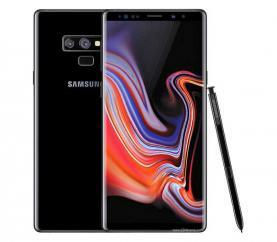 DisplayMate posted a review of Samsung's latest OLED display - the 6.4" 1440x2960 (516 PPI) flexible Super AMOLED used in the Galaxy Note 9. As we've seen many times before, Samsung managed to significantly improve its OLED quality - and DisplayMate says that this is the best mobile display ever tested. In the Galaxy Note 9, Samsung concentrated on significantly raising the on-screen absolute picture quality and absolute color accuracy by implementing precision factory display calibration. This could have been a response to the excellent calibration done by Apple in the iPhone X.
Samsung announced three new entry level smartphones in its Galaxy J series, all with Super AMOLED infinity displays. 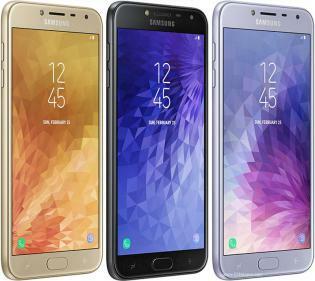 The three phones are the Galaxy J4 (5.5" 720x1280, 267 PPI), the Galaxy J6 (5.6" 720x1480, 294 PPI) and the Galaxy J8 (6" 720x1480, 274 PPI). Yesterday reports from Korea suggested that pre-orders for the Galaxy S9 in Korea are 30% lower compared to the pre-orders of the Galaxy S8 in 2017. 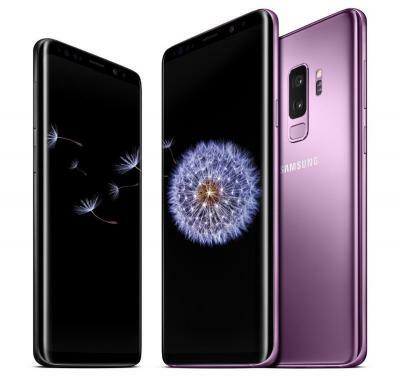 The Korea Herald, however, today says that Samsung believes it will sell more Galaxy S9 phones than it did with the GS8. The Korea Herald says that Samsung told its suppliers that its target is to sell 43 million GS9 (and GS9 plus) phones in 2018. In 2017, Samsung shipped 41 million GS8 and GS8 plus phones. In 2016, Samsung shipped 48 million GS7 phones, so even if it reaches its target of 43 million GS9 phones, it will still lag behind The GS7. According to reports from Korea, pre-orders for the Galaxy S9 in Korea are 30% lower compared to the pre-orders of Samsung's Galaxy S8 in 2017. 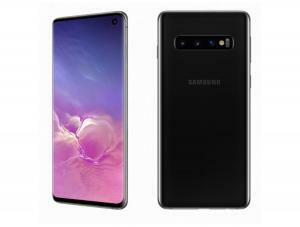 Yonhap news says that Korea's three largest carriers distributed only 180,000 GS9 phones, while at the same time last year these three companies distributed 260,00 GS8 phones. Samsung did not yet disclose any pre-sales data. The GS9 has a flexible 5.8" 1440x2960 (570 PPI) Super AMOLED display (6.2", 529 PPI, on the S9 Plus). DisplayMate says that this display is the best mobile display ever tested, surprassing in quality the 5.8" flexible AMOLED used in the iPhone X.
Samsung introduced its Galaxy S9 flagship phone a couple of days ago, with its flexible 5.8" 1440x2960 (570 PPI) Super AMOLED display (6.2", 529 PPI, on the S9 Plus). Display measurement experts from DisplayMate already tested the new display (with a pre-production GS9), and published a comprehensive report. As expected, Samsung continues to improve its OLED displays, and the GS9 again is announced by DisplayMate to be the world's best ever mobile display, better than the iPhone X OLED.